Noel Kempff Mercado National Park Flor de Oro -located on the bank of the Iténez or Guaporé river in the extreme north-central section of the Park- is the point of entrance for the north side of the park. Flor de Oro used to be a 5 star lodge but after having been closed for over 2 years it is now rather deteriorated. 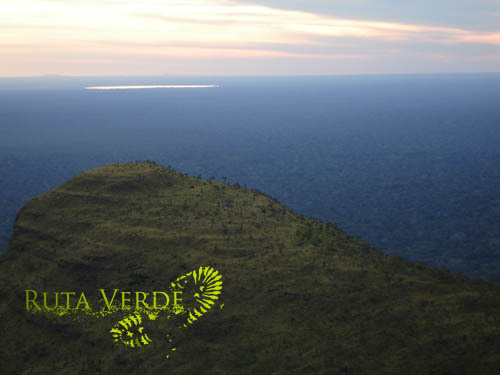 It is accesible by small plane and provides easy access to an incredible diversity of habitats. 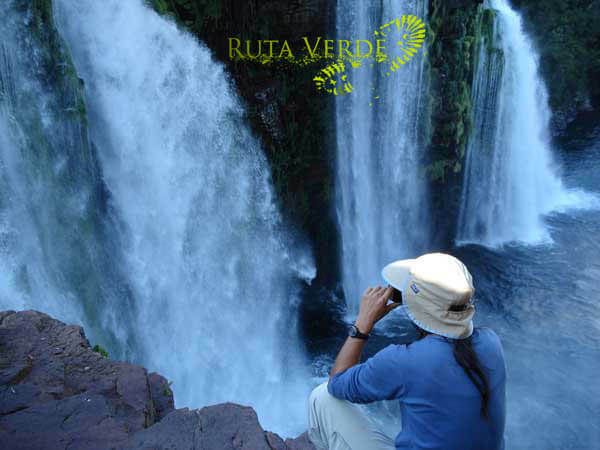 The two largest waterfalls Arco Iris and Ahlfeld, can also be reached from Flor de Oro. Flor de Oro makes the perfect destination for those who enjoy breathtaking scenery, impressive landscapes, and a diversity and abundance of flora and fauna found in few other places in the world. Its remote location and relaxing atmosphere also make it perfect for those who just want to get particularly far away from the daily routine. A calmness settles in as the moonlight shines over Campamento flor de Oro and you can observe the stars. In the morning you will be met by the sunrise while observing groups of monkeys traveling through inundated forests, or freshwater river dolphins fishing and playing in the backwater rivers and lagoons. 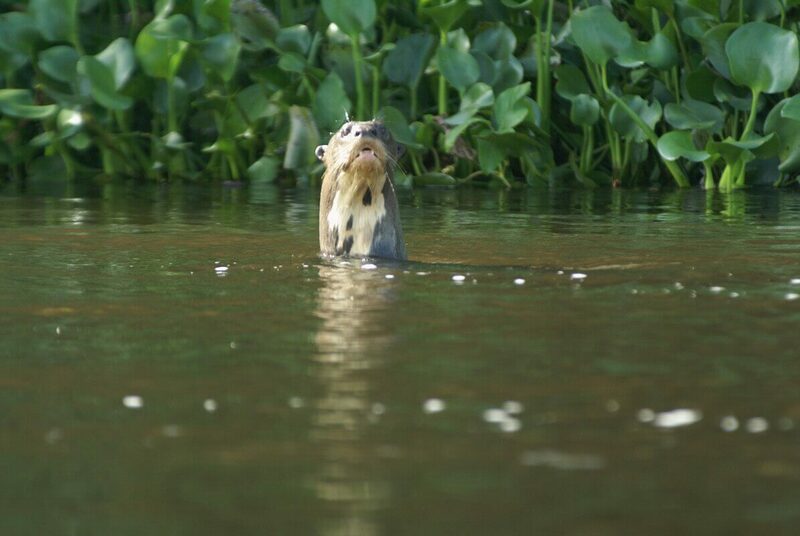 The giant otters swim between the clouds – reflections from the surface of the river found right out your front door. Wathing the otters and viewing the Caparú plateau clearly visible in the distance, you will quickly realize just how special a place Noel Kempff is. 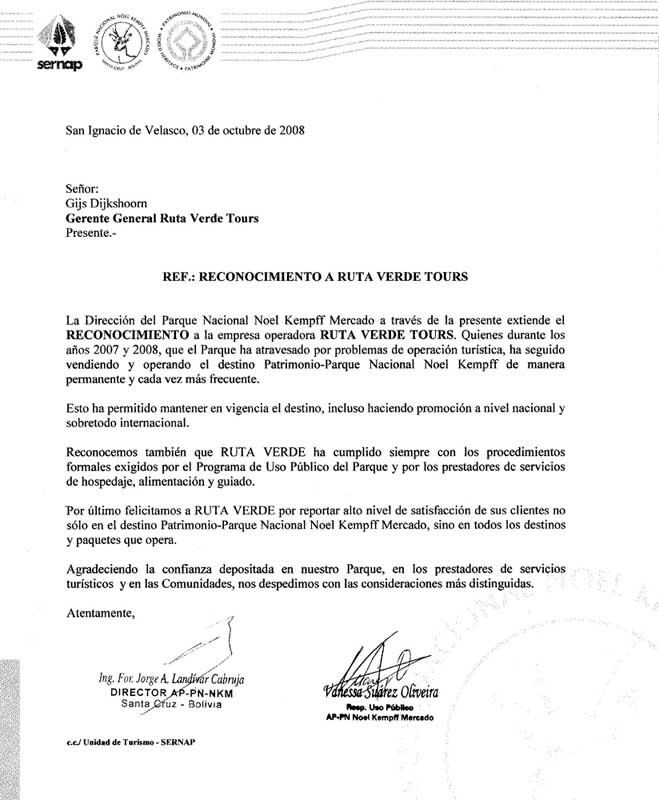 Noel Kempff National Park has been declared ¨Natural Patrimony of Humanity¨ by UNESCO. 4000 species of flora, more than 620 species of birds, 130 species of mammals, 127 species of reptiles, 62 species of amphibious and 246 species of fish. 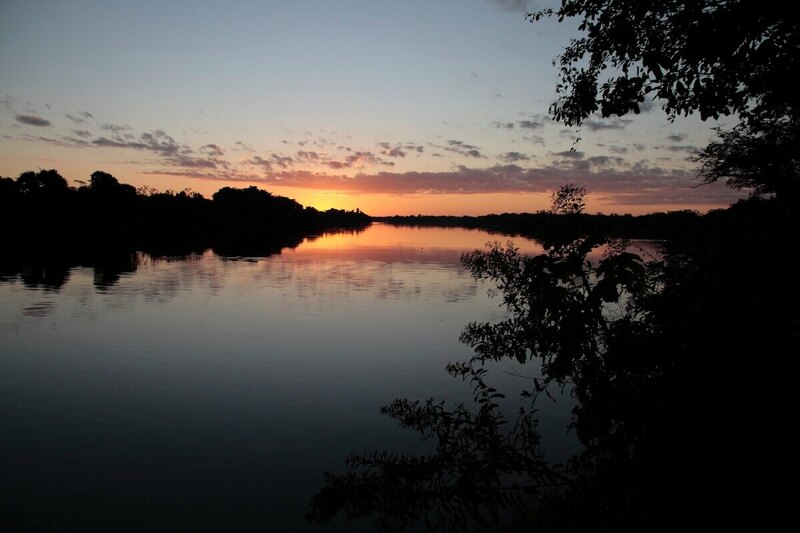 Early in the morning you will board a small airplane to fly to Flor de Oro, the lodge located on the Itenez river on the north side of Park Noel Kempff. The flight takes approx. 2 to 2,5 hours, depending on the weather conditions. 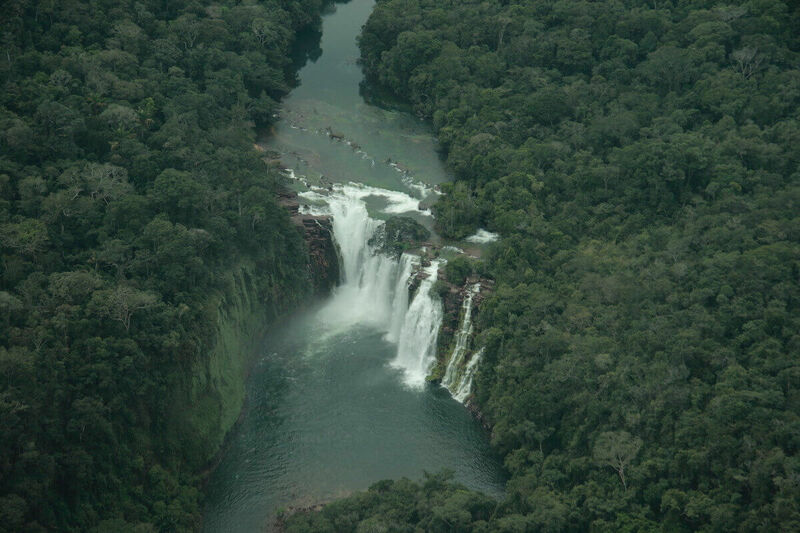 During the flight we wil fly over the tropical lowlands of the Santa Cruz department. After half an hour of flying we will fly over one of the Jesuit Missions, Concepción. The vegetation below is getting thicker and thicker and after a while you will fly over hundreds of kilometers of pristine tropical rainforest. From the airplane you can see the amazing Caparu plateau rising on the horizon. 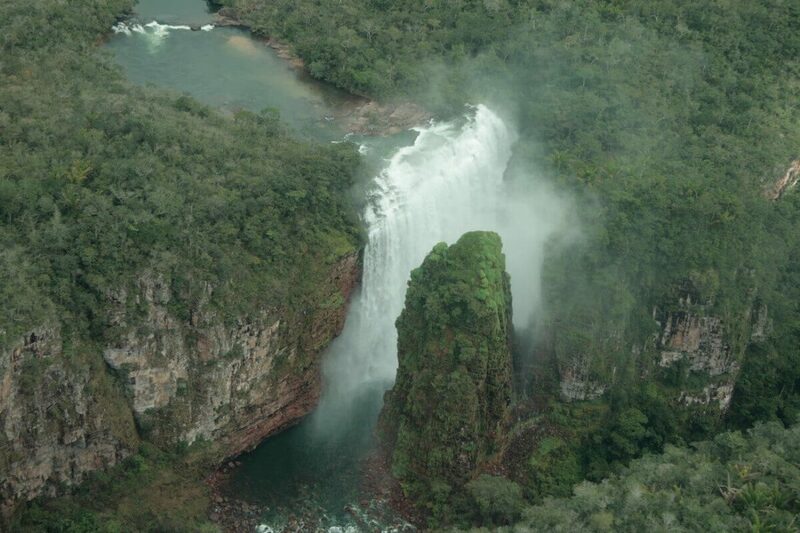 We will fly over the Caparu plateau towards the waterfalls Arco Iris and Ahfeld. The plane will fly around the waterfalls so that you have the opportunity to take some great pictures. We offer 4 different kind of programs for visiting the north side of Noel Kempff. All tours start from Santa Cruz and will take you by plane to Flor de Oro. Morning: Santa Cruz – Flor de Oro by airplane. After settling in at the lodge and a relaxing lunch we dive straight in to our wilderness adventure – in the high forest of the North trail. On this three hour walk we may see any of a great number of birds, along with fruits and flowers. Forest mammal sightings of monkeys, capybara and peccaries are also common. We then pass by a large riverine lake before coming out and sampling the wildlife of the savannah for our round trip sunset return to Flor de Oro for supper. The adventure really begins on this day. Up early, we take the five hour boat ride down the Itenez and onto the Paucerna River, up to the Ahlfeld lodge. This cabin is really remote so we might see anything – to give an idea, previous visitors have quite often seen Jaguars basking out on the beaches of the Paucerna! 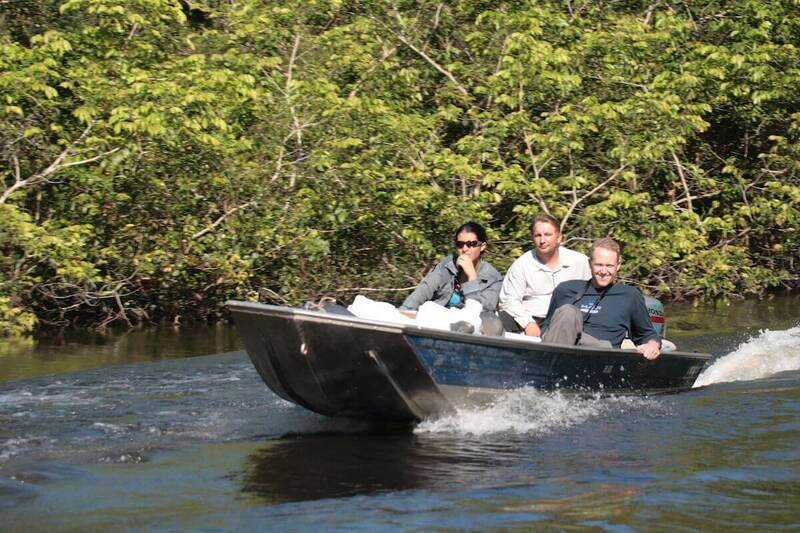 Abundant Amazonian river and forest edge wildlife is assured throughout the journey. Afternoon: After a hasty meal we take the lower trail (40 mins) to the base of the Ahlfeld Falls where anyone with a camera will be well rewarded and everyone will appreciate the great natural beauty of this unique formation, before enjoying a refreshing swim in the large plunge pool. The trail to the falls takes us through good upland forest, so don’t be surprised if we get sidetracked with a group of Spider Monkeys or a pair of curassows on the way. If you didn’t get enough of the waterfalls yesterday, don’t worry. Today the other trail will take us to the most spectacular location; a 40 minute hike through more excellent forest, to the head of the falls themselves. After another refreshing meal in the deep forest we make our leisurely way back to Flor de Oro, spotting wildlife on the way and arriving around dusk. A morning walk down to the first bay above Flor de Oro rounds off our trip. This is the time to look for anything we may have missed before on the river or, if you can’t get enough of those Pink River Dolphins, this is your last chance to wave goodbye. If we have time, we’ll go into the riverside forest at the end of the South trail so you can give your last regards to the howler monkeys as well. The flight will take up to 2 hours. Flor de Oro is located right on the banks of the Iténiz river in the extreme north-central section of the park. 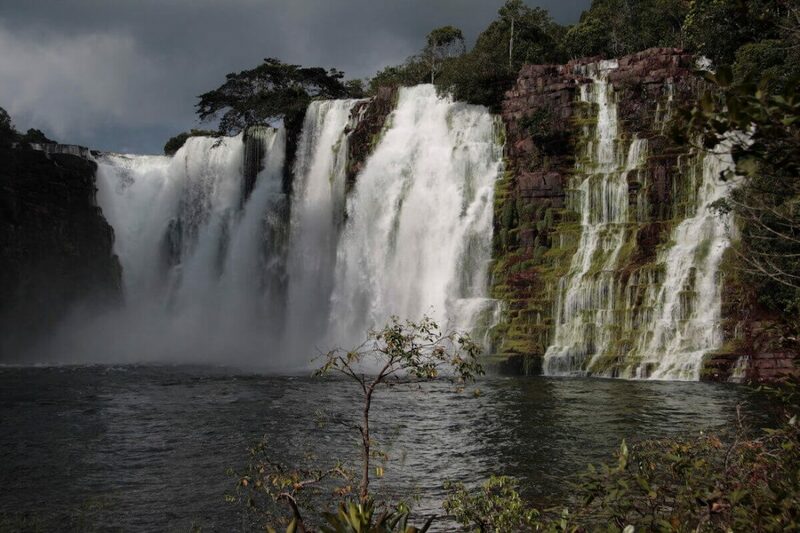 Therefore, en route to the park, you will fly over hundreds of kilometers of pristine rainforest, as well as the magnificent Caparú Plateau with its red cliffs and two very impressive waterfalls named Ahfeld and Arco Iris. When we arrive in Flor de Oro where we will meet with the staff and check into our rooms. The adventure really begins on this second day. Up early, we take the five hour boat ride down the Itenez and onto the Paucerna River, up to the Ahlfield lodge. This cabin is really remote so we might see anything – to give an idea, previous visitors have quite often seen Jaguars out on the beaches of the Paucerna! 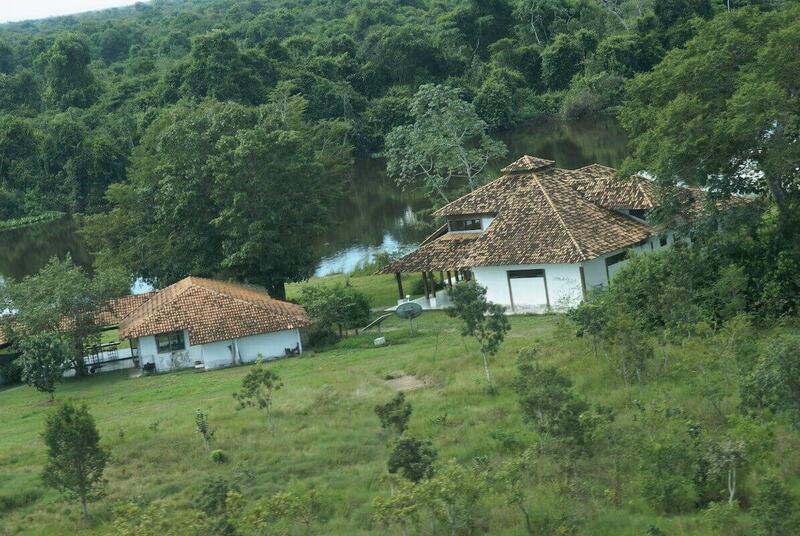 Abundant wildlife typical of Amazonian river and forest edge is assured. From the Ahlfeld camp we now go all the way. 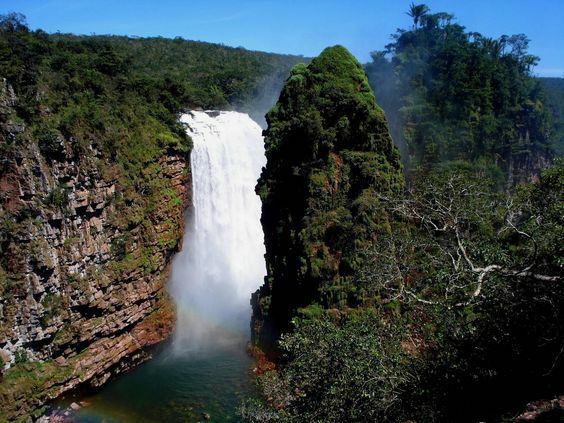 Past the breathtaking Ahlfeld Falls, yes, stop and look once more, but now we go on to perhaps the most extraordinary of all the natural features of Noel Kempff National Park: the Arco Iris Falls. 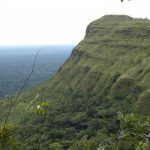 On a three hour trail that takes us through forest, then up through Cerrado and Campo Rupestre, a rocky formation that boasts many orchids and cactuses, we arrive at the lookout above the famous rainbow waterfalls. Just try describing the view! A huge cascade of water tumbling off a vertical cliff, a towering rock standing like a sentinel in front that divides the water-carved canyon in two, all set in pristine tropical forest as far as the eye can see. And you are looking down on this from above. We’ll drag you away from it some time in the early afternoon. A do as you like morning in Ahlfeld Camp, which you may wish to spend over on the other side of the river swimming and feeling the pulse of crystalline water from one of the lesser falls massaging your whole body. After another refreshing meal in the deep forest we make our leisurely way back to Flor de Oro, spotting wildlife on the way and arriving around dusk. This time is great for nightjar-watching as these graceful, long-tailed birds come out at dusk and will be around us over the water as we get back to Flor de Oro. A morning walk down to the first bay above Flor de Oro rounds off our trip. This is the time to look for anything we may have missed before on the river or, if you can’t get enough of those Pink River Dolphins, this is your last chance to wave goodbye. If we have time, we’ll go into the riverside forest at the end of the South trail too so you can give your last regards to the howler monkeys as well. 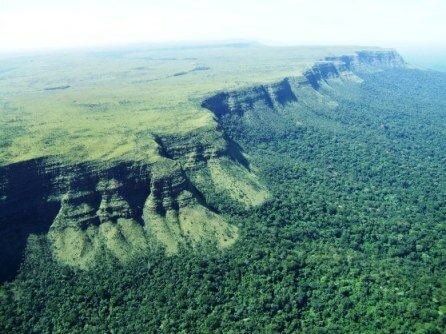 The flight from Santa Cruz to Flor de Oro already gave a stunning introduction to the grandeur of Noel Kempff National Park as it took us over hundreds of kilometres of virgin forest. 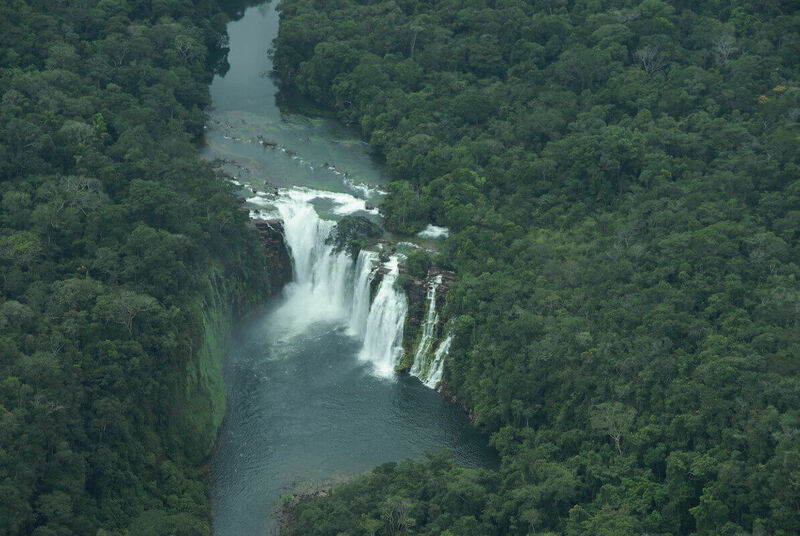 From the air we have already seen the great diversity of pristine habitats that makes the Park a world-class tourist destination and be in high gear to get out into the field. Our first taste of the tropics will be the South trail which takes us from the lodge and along the river to the first bay. Apart from the many bird species, this trail will give us the chance to spot monkeys and, with luck, Giant Otters and Pink River Dolphins. 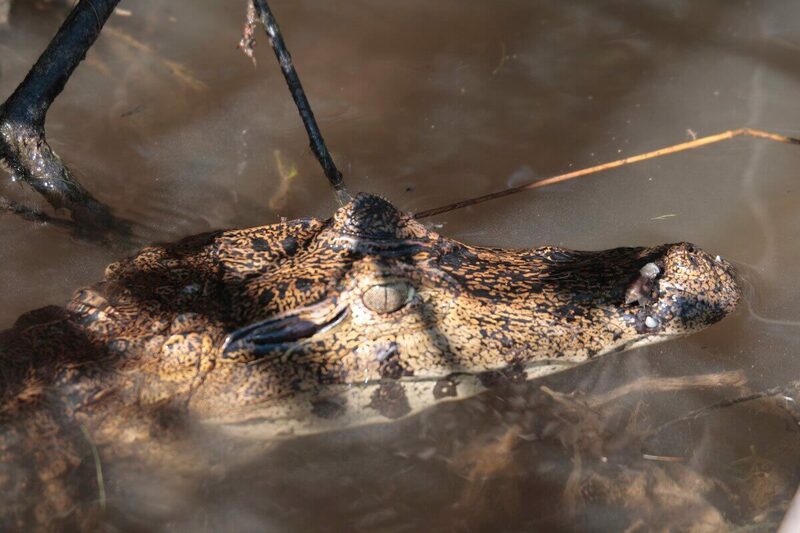 In the bay we can count the caiman and see if there are any of the very large and endangered Black Caiman sunning themselves on the banks. We return at sunset, the time oropendolas pass in flocks and pairs of Scarlet and Blue-and-yellow Macaws fly over in pairs to their roosts. We get well and truly into tropical forest on our first morning out. As the early mist swirls over the river we will hear tinamous and ant birds, guans and trogons calling as we go into the area of high forest north of Flor de Oro. Almost anything from a herd of peccaries to a Giant Anteater, a glimpse of an Ocelot or a meeting with a riotous family of Coatis may liven up our walk, and wild flowers, animal tracks, fruits and insects will abound as we make our way round the trail. We pass by a large riverine lake before coming out onto the savannah for our round trip return to Flor de Oro for lunch. After lunch we go into a different world, the Cerrado round the Flor de Oro lodge. The grasslands, dotted with termite mounds and tiny wooded islands, are home to a great variety of birds, flowers and mammals. A full-day trip upriver to the guard camp of Las Torres gives us the chance to get into some unusual habitats of inundated Mauritiella savannah and Campo Rupestre, where our sightings may include spectacular hummingbirds, parrots and puffbirds. Later, hardy group members can see who can make it to the top of the unique rock formation which gives the camp its name, while others content themselves with finding the many flowering orchids that grow in hidden crevices along the path. For the really keen-eyed, we hope the Common Potoo still has her nest nice and low down for photographers at the start of the path. Várzea forest habitats along the edge of the river are very diverse and, if we are fortunate as we go back down, we will find ant wrens and the unforgettable Red-billed Scythebill in mixed flocks, while overhead we may see King Vulture, along with macaws and birds of prey. One recent group breathlessly reported a disdainful Harpy Eagle on a dead branch that refused to move no matter how close the driver moved the launch, exhausting binocular arms and camera films alike and making for a unique experience, just one of the many offered by the abundant wildlife of the Park. An early morning start is in order to catch the forest at its most active and we will be looking out -and listening- from the boat for howler monkeys as they greet the day and move into their favorite fruiting trees, as well as getting really close to any dolphins that happen by. The river is also a great vantage point for seeing turtles and waterbirds and, turning into the entrance of the first bay, we will have wildlife all around us as we slowly make our way up to the large tree at the end of the bay in which a host of birds nest and roost. Afternoon: Free time – visitor centre, North or Sout trail if requested. With all the time we spend outside, we should not forget the facilities offered in Flor de Oro. One afternoon we will make time to look round the Visitor Centre, which has displays on the history and geology of the area as well as outstanding photos of the area’s flora and fauna. And we may well be tempted back towards the forest on the North trail if the weather clears up before dusk, giving us a great chance to see nightjars over the river and hear the night’s first owls calling from the trees. On our last morning we will do the round of the wooded patches in the Cerrado of Flor de Oro out to the so-called Island of Orchids. Along the way we will take in Toco Toucan, woodcreepers, and seedeaters, before making our way back to camp for a last meal and the impressive transfer flight back to Santa Cruz. A short but intensive “birder’s delight” tour that makes the most of the varied and incredibly species-rich forest and savannah areas round the park’s five-star Flor de Oro lodge on the Itenez River. 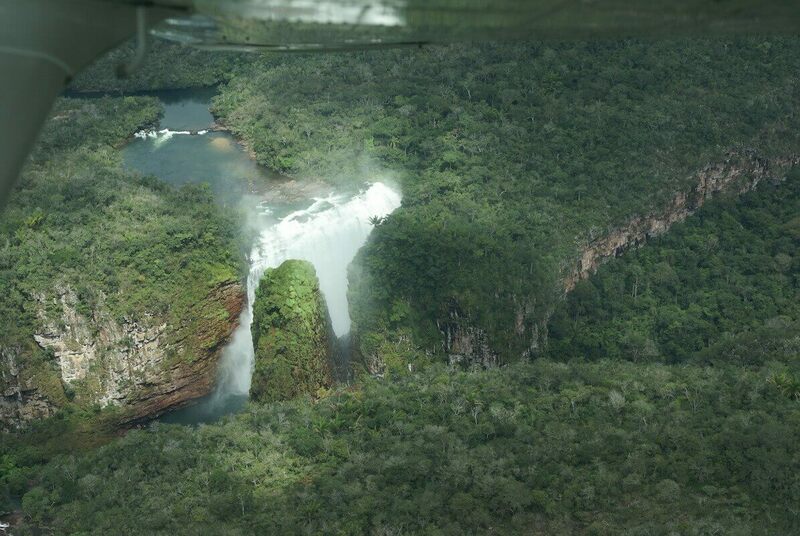 The flight from Santa Cruz to Flor de Oro already gave a stunning introduction to the grandeur of Noel Kempff National Park as it took us over hundreds of kilometres of virgin forest. From the air we have already seen the great diversity of pristine habitats that makes the Park a world-class birding destination and be in high gear to get out into the field. Even from the grounds of the lodge we may well spot Crested Caracara, Black Skimmer and White-banded Swallows as well as Large-billed and Yellow-billed Terns over the river. 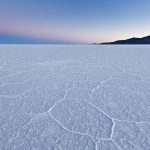 So, without further ado, we set off on the South Trail which takes us down the airstrip bordering parkland savannah to the edge of the first bay of the Itenez River. We can be sure of various parrot species here, which may well include Yellow-chevroned Parakeet, Orange-winged Parrot, the scarce Red-bellied Macaw and, if we’re really lucky, a pair of majesticScarlet Macaws overhead. These sightings interspersed with birds such as Rufous-tailed Jacamar, Red-necked Aracari and Black-fronted Nunbird in vegetation along the riverside. We will also get good first looks at Southern Screamer, Muscovy Duck and the evasive little Sungrebe, just some of the waterbirds typical of this Amazonian blackwater river. The first morning in good high forest is always a thrill and, as more than six hundred species have been recorded in Noel Kempff so far, the first-light birding on the Flor de Oro North Trail is bound to be memorable. As the mist swirls over the slow waters of the river we will hear Blue-throated Piping-Guans rattling their wings and groups of Black Howler Monkeys greeting the day. Inside the forest, Cinereous Tinamou, Elegant Woodcreeper and Amazonian Antshrike will make their presence known as we busy ourselves with mixed-species flocks of Flame-crested Tanager, Green Honeycreeper, Rufous-browed Peppershrike, Plain-brown Woodcreeper. Forest interior birds such as Violaceous Trogon, Thrush-like Manakin and Yellow-crowned Tyrannulet will add to our lists while always hoping for sightings of the many more unusual species to be found here, which include Ringed Woodpecker, Brown Jacamar, Silvered Antbird and Green-and-rufous Kingfisher. Our round-trip route takes us back, past a large riverine lake, into grassland savannah where we will be hoping for open-country birds like Striped Cuckoo, Savannah Hawk and Aplomado Falcon, as well as seedeater flocks and the occasional overhead Picazuro Pigeon. After lunch we take a breather from the dense luxuriance of tropical forest and stalk some of Flor de Oro’s Cerrado specialities which may include White-naped Xenopsaris, Tawny-bellied Seedeater, Plain-breasted Ground Dove, Long-billed Starthroat and Ashy and Black-billed Cuckoos. This morning we get on the river good and early and work our way up to the first bay of the Itenez above the lodge. This stretch is great habitat for Giant River Otter and Pink River Dolphins and we should also see troupes of monkeys at fruiting trees as we ascend. We will be looking out for male Yellow-knobbed Curassow calling from overhanging branches while, over the water, White-winged Swallow and all five Amazonian species of kingfisher are good possibilities. Water birds, including Rufescent Tiger Heron, Capped Heron, American Wood Stork, Snowy Egret, Orinoco Goose and Anhinga, are common spots and we should have plenty of Hoatzin antics to watch as we keep an eye out for Bare-necked Fruitcrow, Amazonian Umbrellabird, Great Black Hawk and Black-collared Hawk. Haunting calls may lure us in to see the strange and beautiful Lyra, orSunbittern, displaying its peacock-patterned wings for us on the river’s edge. Afternoon: (15.30 – 18.00) Free time – visitor centre, N or S trail if requested. With all the time we spend outside, we should not forget the facilities offered in Flor de Oro. We will make time to look round the Visitor Centre, which has displays on the history and geology of the area as well as outstanding photos of the area’s flora and fauna. And we may well be tempted back towards the forest on the North trail if the weather clears up before dusk, giving us a great chance to see Scissor-tailed Nightjars over the river and hear the night’s first Tawny-bellied Screech Owls calling from the trees. A full-day trip upriver to the guard camp of Las Torres gives us the chance to get into some unusual habitats of inundated Mauritiella savannah and Campo Rupestre, where our sightings could include White-eared Puffbird,Horned Sungem, Peach-fronted Parakeet, Swallow-tailed Hummingbird, Golden-collared Macaw andWhite Woodpecker among many others. Later, hardy group members can see who can make it to the top of the unique rock formation which gives the camp its name, while others content themselves with finding the many flowering orchids that grow in hidden crevices along the path. For the really keen-eyed, we hope the Common Potoo still has her nest nice and low down for photographers at the start of the path. Várzea forest mixed flocks are very diverse and, if we are fortunate as we go back down the river, we will findPygmy Antwren, Amazonian Streaked Antwren, White-winged Becard and Red-billed Scythebill in the mix, while overhead we may see Swallow-wing, King Vulture, Blue-and-yellow Macaw and Tawny-headed Swallow. One recent group breathlessly reported a disdainful Harpy Eagle on a dead branch that refused to move no matter how close the driver moved the launch, exhausting binocular arms and camera films alike and making for a unique experience, just one of the many offered by the abundant wildlife of the Park. Morning: (05.30 – 11.30) Explore Cerrado round Flor de Oro to Isla de Las Orquídeas. On our last morning we will do the round of the wooded patches in the termite savannah and Cerrado of Flor de Oro out to the so-called Island of Orchids. Along the way we will take in Toco Toucan, Narrow-billed andOlivaceous Woodcreeper, Rusty-backed Antwren, Wedge-tailed Grass-Finch and, with luck, Collared Crescentchest and Lined Seedeater, before making our way back to camp for a last meal and the transfer back to Santa Cruz. Please take a look at the Noel Kempff pack list. We expect from you to keep the physical impacts on the park’s natural resources to a minimum by respecting the flora and fauna sharing this beautiful place on earth with us. 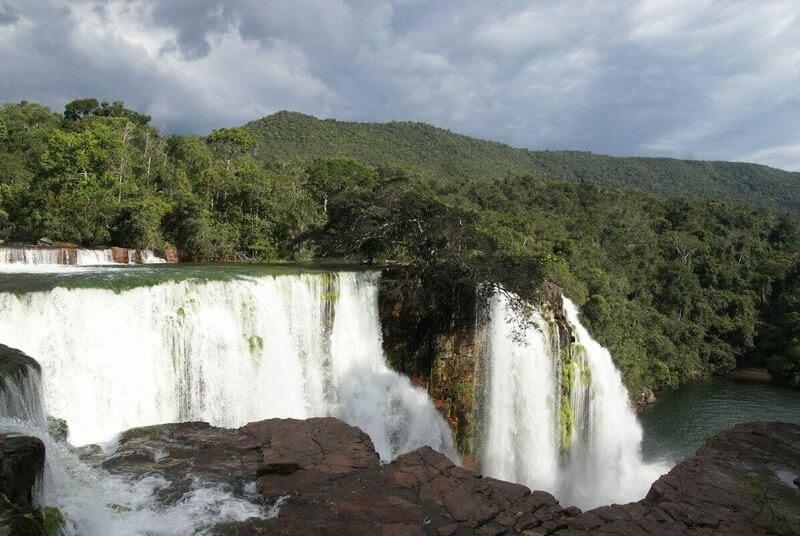 Please read what our clients say about their trip to National Park Noel Kempff Mercado! Please contact us for more information or for making a reservation.